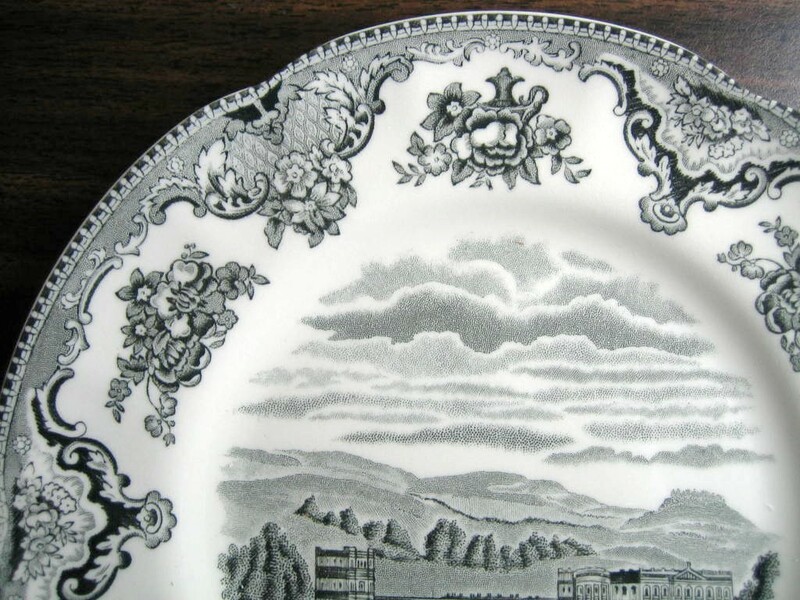 Click the button below to add the Black Gray Toile Transferware Castle Sky Roses Medium Plate to your wish list. 8". 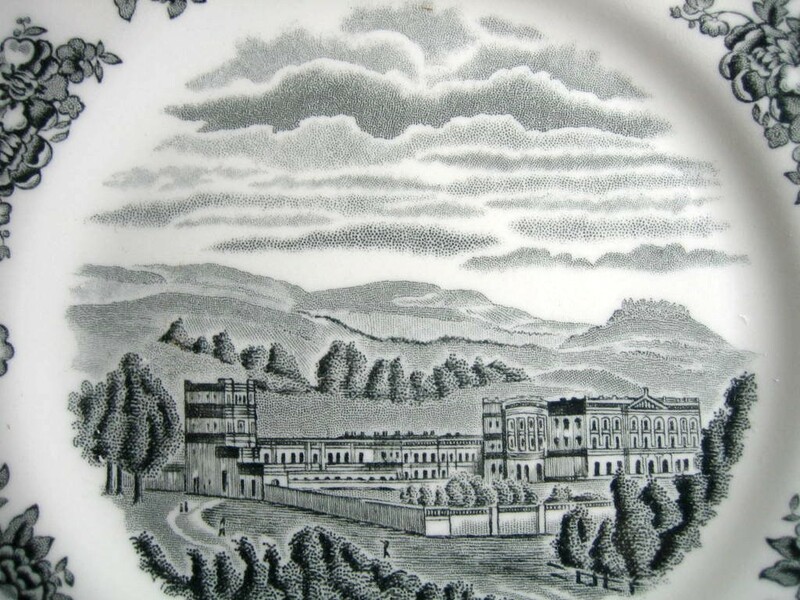 Panoramic castle view on pretty grey black on off white plate. Made in England.